1. You're paying too much. Marketing automation platforms use big data for "Big" results, but without the right effort and access on the user end, results are unlikely to be of any real value. Marketing automation platforms are not only gladly taking your money, but they also get to choose what data you can access. Unfortunately, this means that all potential leads, consumer profiles and traffic data is filtered through your platform, they choose what percentage to give you as a report. As a result, you are at left at the far end of the data stream to use what you are given as opposed to what is yours. Why not allow access to it all, if you so choose? This brings us to the next point, that in addition to only having a limited amount of data access, you do not truly have any engagement with the powerful software itself. 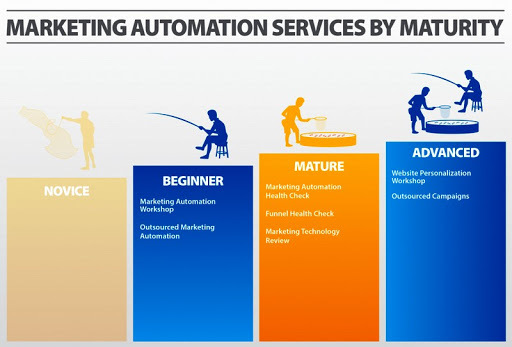 Marketing automation services are incredibly valuable to the growth of company. According to a survey published by Carlos Hidalgo of the Annuitas Group, In addition to staggering growth potential, the survey showed an increase in revenue of 417%. These statics imply that it will not be a matter of if businesses adopt, but when? Let's explore what you are getting by way of service. It is clear that the market is flush with opportunity and that marketing automation will continue to play an ever more vital role in growing businesses and organizations. The power of the concept is immense, the results are remarkable, and the service has left much to be desired. Software giants will not and cannot continue to do as they please while getting rich on your revenue. So choose wisely and remember what faults to look out for in a marketing automation service provider. Now that the faults of the current system are clear and the solution seems to lie in open source transparency, more software and services will continue to pour from this powerful alternative. If you'd like to learn how you can get more out of your marketing automation efforts.